Carrots are full of vitamins and minerals. They contain vitamins A, C and E, all needed for good eyesight, a better immune system and maintaining healthy cells – but it doesn’t end there. 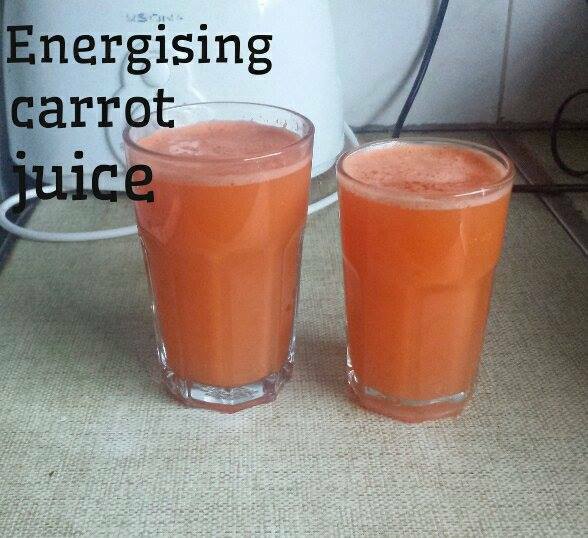 Since they’re also loaded with antioxidants, a regular consumption of carrots (or this energising carrot juice) can help promote glowing skin. 1.Throw everything into a blender with water and process it until it gets frothy. 2.Filter the mixture into a glass using a sieve or a cheese cloth. 3.Put the remainder back in the blender with more water and repeat. 4.Serve right away or keep in the fridge. Note: Carrots are naturally sweet so you don’t need to add any honey to it. For extra hydration, you can add some celery to the juice!